Boy Scout and Girl Scout Troops can receive a special group discount on their IceHogs tickets for the 2017-18 season. Save over 20% on your tickets to an upcoming IceHogs game and entertain your Scout Group to a great night of IceHogs hockey! 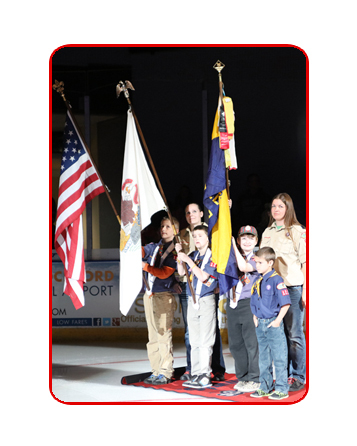 Scout groups can also take advantage of some interactive activities at IceHogs games including presenting the colors with the Color Guard, Tunnel Team or raising funds for your unit through an IceHogs Fundraiser. Scout groups that purchase a minimum of 25 tickets for their night can receive an opportunity to present the colors during the National Anthem. Your unit will be introduced and will receive the unique opportunity to get on the ice and show their patriotism in front of thousands at the BMO Harris Bank Center! Scout groups that purchase a minimum of 25 tickets can get an up close glimpse at the IceHogs moments before puck drop with the “Tunnel Team." Members of your unit (up to 30 kids) can stand in the IceHogs tunnel as the team enters the ice and encourage the IceHogs before the action starts during the pre-game introductions. There is a limit to just one “Tunnel Team” per game. 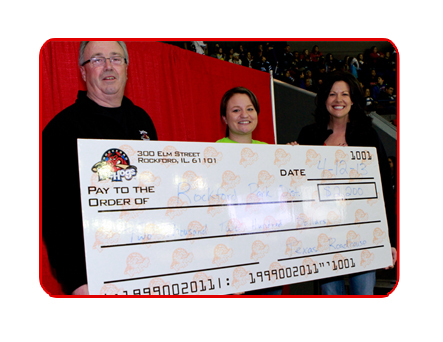 Scout groups can raise money for their units and enjoy IceHogs hockey all at the same time! 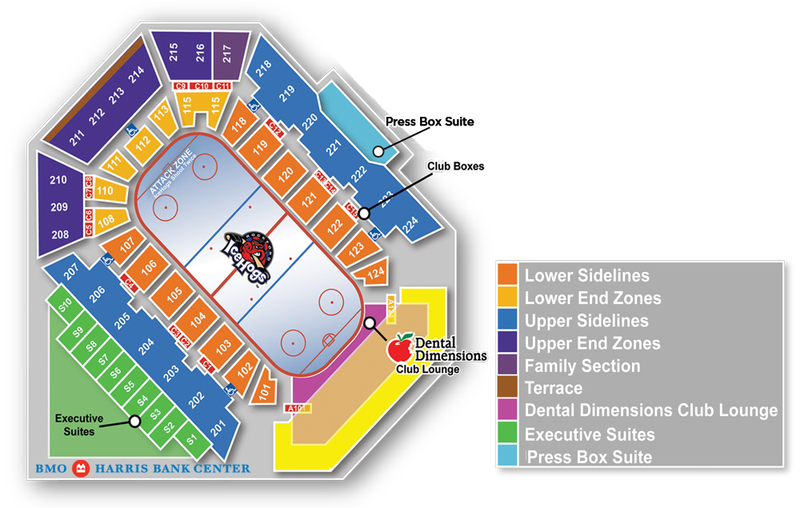 With the IceHogs Fundraiser program, participants can earn $5 per ticket sold for their organization. 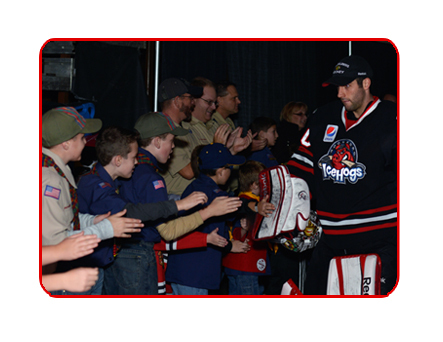 For more information or to book your scout group, download the order form by clicking here, or contact Ryan Woodrow at (815) 847-6383 or at woodrowr@icehogs.com. Scout groups can also take advantage of other great discounts for BMO Harris Bank Center events. In past seasons, scout groups have taken advantage of discounted group tickets to see the Harlem Globetrotters, Advanced Auto Parts Monster Jam, AMA Arenacross Series, All-Star Rodeo Challenge and Cirque du Soleil. To see what's coming to the BMO Harris Bank Center, visit www.theBMOHarrisBankCenter.com.